Long ago, when people and animals spoke the same language, two young men left their tribe to make an adventurous voyage through the wilderness, into the unknown northland. 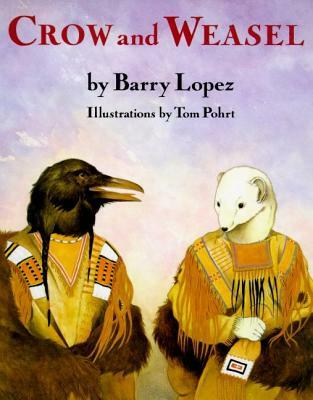 Set in the mythic past and inspired by the traditions of the North American Plains people, this fable of self-discovery follows Crow and Weasel as they face unfamiliar perils on a quest for knowledge and wisdom. Conquering their innermost fears, the two heroes come of age and learn more than they ever could have imagined--about humanity's relationship to the land, the importance of respecting other peoples and giving thanks, and even the ery nature of friendship itself. Tom Pohrt is the illustrator of the New York Times bestseller Crow and Weasel by Barry Lopez and The Wishing Bone and Other Poems by Stephen Mitchell. He lives in Ann Arbor, Michigan, with his wife and daughter.